This is a tried and true beginner's guide to the singing and understanding of Gregorian chant. Developed at The Community of Jesus, where the Divine Office is sung in Latin every day, The Song of Prayer shows how chant takes Christians back to the early days of the church when people gathered together to pray each day, every day. You don't have to be highly musical in order to get started. Readers-individuals as well as study groups in churches and classrooms-will learn the basics of Gregorian chant, with some preliminary instruction in Latin, chant notation, its history and development, and very basic theology. An instructional 45-minute CD accompanies the book and provides a supreme example of the complete service of Compline, making learning easy and practical. The Song of Prayer is the perfect introduction for those new to Gregorian chant, and eager to learn about this profound way of prayer. The Song of Prayer by The Community Of Jesus was published by Paraclete Press in July 2008 and is our 58873rd best seller. 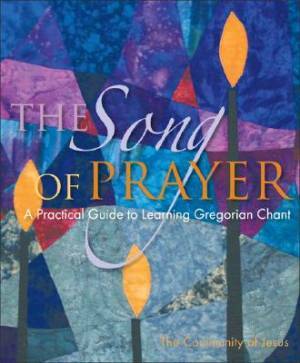 The ISBN for The Song of Prayer is 9781557255761. Be the first to review The Song of Prayer! Got a question? No problem! Just click here to ask us about The Song of Prayer.